(TORONTO, ON. – May 31, 2017) – Toyota’s Collaborative Safety Research Center (CSRC) today formally launched the next phase of its research mission, celebrating the successful conclusion of its first five years of auto safety research. The new research effort, named CSRC Next, will focus on the challenges and opportunities of autonomous and connected vehicle technologies over the next decade. Examples include work with the Massachusetts Institute of Technology (MIT) AgeLab to develop new systems for autonomous vehicles to perceive and identify objects in their environment and to understand social interactions in traffic; and a research study with Virginia Tech to estimate issues that may arise after Integrated Safety Systems (ISS) are deployed in the future, including all active and passive safety systems. CSRC is working with the Toyota Research Institute (TRI) and Toyota Connected (TC). CSRC research is helping to accelerate autonomous driving technology development as well as contributing to the exploration of the complex relationship between future mobility and broader social trends. The beginning of CSRC Next also marks the conclusion of the center’s first five years of automotive safety research; where it explored Human Factors, Active and Passive vehicle safety technologies, and Data Analysis and Tools development. Since its launch in 2011, CSRC has operated with a mission unique in the automobile industry: collaborating with leading North American universities, hospitals, and research institutions on projects aimed at reducing traffic casualties, and sharing the results publicly so that all can benefit. In that period, CSRC has launched and completed 44 research projects with 23 partner universities including The University of Toronto, publishing more than 200 papers and presenting at multiple industry conferences. And while CSRC research has helped improve the safety of Toyota vehicles – for example, enhancing the capabilities of computer crash simulations and improving the tuning of Advanced Driver Assistance Systems — its impact has been much broader. Results have contributed to standards development at international bodies like the Society of Automotive Engineers (SAE). In addition, CSRC projects have made meaningful contributions to auto safety industrywide, including research into human factors on vehicle safety and the impact of active and passive safety systems as well as the collection of driving safety data and development of new tools to analyze that data. One of the key beneficiaries of CSRC research has been emergency medicine. A project with the University of Michigan Department of Emergency Medicine’s Center for Integrative Research in Critical Care studied a computational technique for noise-tolerant, robust detection and prediction of severe cardiac events, including Myocardial Infarction and Myocardial Ischemia, inside a vehicle. As part of CSRC Next, the ECG data collected from in-hospital and in-vehicle subjects will be trained with machine learning models to detect and predict the in-vehicle occurrence of cardiac events. Key projects in the CSRC’s first five years include groundbreaking programs to develop test platforms for collision avoidance systems, including one with Indiana University – Purdue University at Indianapolis (IUPUI) and The Ohio State University that created advanced test targets for pedestrian pre-collision systems, which feature radar cross-sections that match those of human beings. Another, with MIT, modelled in-vehicle voice command systems and driver behavior. Small, yet strong outdoor activity gear inspired the FT-4X’s expressive looks. 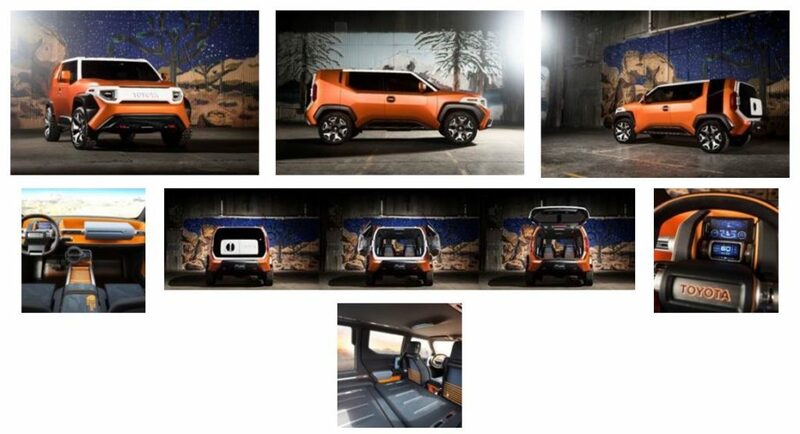 For its exterior, stylists imbued an X Theme throughout the Toyota New Global Architecture (TNGA) C-Platform. Imagine this: At the center of a vertical X (which bows outward) is a door handle, or, in essence, the widest part of FT-4X. This places the broadest area near the driver and passenger, creating a natural protective zone. At the rear, the bowed vertical X can be seen at the rear hatch, again placing the door handle at the center and creating a protective space. Now, imagine another X, but this time horizontal, or flat, placed at the top and bottom of the vertical Xs. At each of the four corners of the bottom X is an 18-inch wheel wearing a custom 225/55R-18 Goodyear® All-Season tire. The FT-4X stands 1.62 m tall, is 4.25 m long, and has a wheelbase of 2.64 m. Its form emanates simple sturdiness front to back, top to bottom. It’s X Theme abound. Generous approach and departure angles add to the FT-4X’s prowess on a variety of paved and unpaved paths. Wide black-painted over-fenders lend a tough look to the exterior and engulf the beefy Goodyear® rubber. A vertical Picture Window set above the driver’s side rear fender pays homage to the classic version brandished by Toyota’s iconic Pickup Xtracab truck and first-generation 4Runner sport-utility vehicle. The window glass is removable and interchangeable, allowing for owners to personalize their FT-4X even further with multiple opaque colour or tinted glass options. The rear door handle is discretely placed fore of the vertical window and high above the beltline, much like it is on the current Toyota C-HR. Proceeding from work to play, indoors to outdoors, without advanced preparation can be a recipe for forgetting some essential equipment. No worries (as Gen Y-ers might say)! The FT-4X is a rolling gear box. Not only is the interior’s concept that of a large open space having plenty of easily accessible storage for basic equipment, but it is basic equipment itself. Passengers can easily identify the space’s purpose based on colouring, as blue classifies closed storage, while orange indicates open storage. The cabin is sectioned into threes: Clean Zone, where the front passengers sit, and where rugged floor mats and door sills were inspired by Japanese sunoko slatted wood flooring; Wet Zone, also characterized by all-weather mats (where passengers can stow damp swimsuits/snow clothing or muddy boots) and located just behind the front seats, as well as below the rear second row bench seat; and, Rear CargoZone. (TORONTO, ON – March 9, 2017) Hit the streets in style, with the all-new, very sporty Toyota C-HR – and know that Toyota’s reputation for quality and value means this coupe-inspired compact crossover is a terrific value, too. The 2018 Toyota C-HR will be available in a single model, with a suggested starting price of just $24,690. The 2018 Toyota C-HR is a new, five-adult compact crossover, stylish “distinctive diamond” body design, expansive and versatile yet driver-focussed interior, and punchy yet efficient four-cylinder engine powering a continuously variable transmission and front wheel drive. This gives the C-HR a city/highway/combined fuel efficiency rating of just 8.7 / 7.5 / 8.2 L/100km. The C-HR’s dynamic handling is a credit to its Toyota New Global Architecture underpinnings, newly-developed front and rear suspension systems, the North American debut of Toyota’s 2.0L 4-cylinder engine with Valvematic continuously variable timing plus new transmission with seven-speed Sequential Shiftmatic function, an impressive list of safety features, including Toyota Safety Sense P, and more. The C-HR will be offered at the XLE trim level, which may be further enhanced with an available Premium Package. With a starting MSRP of $24,690, the Toyota C-HR XLE includes a Display Audio system with 7” screen, Bluetooth® connectivity for portable electronics, voice recognition technology, the Gracenote music database, steering wheel-mounted audio system controls, and more. Other standard features on the XLE include dual-zone automatic climate control, a 4.2” full colour multi information display, illuminated vanity mirrors, keyless entry, 12v power outlet for personal electronics, map lamps, heated front seats, a tilting/telescoping steering column, 17” alloy wheels sporting 215/60R17 tires, power adjustable heated exterior mirrors with integrated signal lamps, LED daytime running lamps, leather-wrapped steering wheel, leather and metal-trimmed shift lever, tonneau cover, and more. 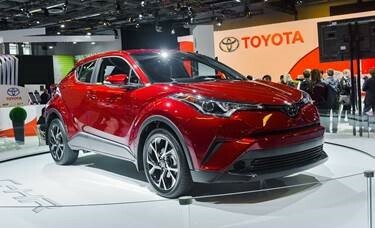 The Toyota C-HR will also be available with a Premium Package, with a starting MSRP of $26,290. This replaces the wheels with larger, 18” alloy rims wrapped in 225/50R18 tires, then adds the Toyota Smart Key System with Push Button Start, power folding mirrors with puddle lamps, and the additional peace of mind of the Blind Spot Monitor and Rear Cross Traffic Alert safety systems. Congrats to Our Team – Another Year of President’s Pride Awards! 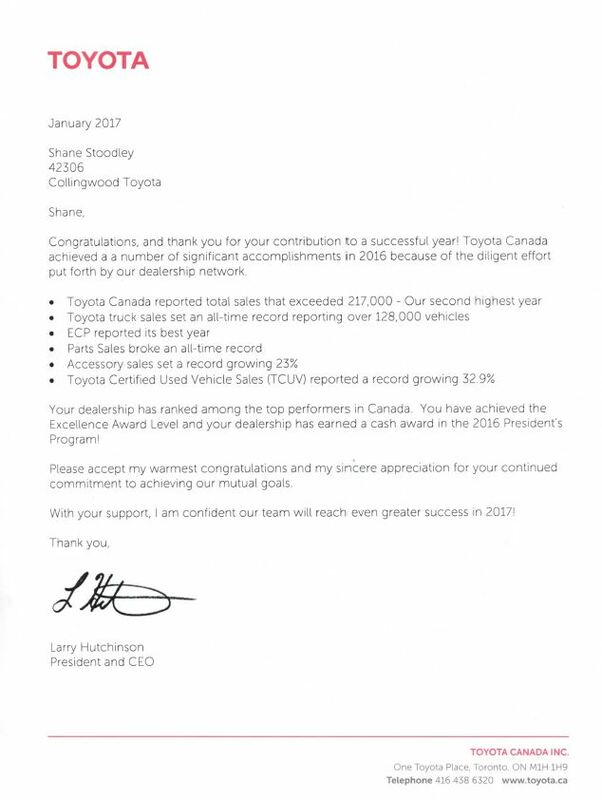 We received letters of thanks acknowledging the hard work and dedication of everyone who contributed to a successful 2016 for Toyota Canada. The following dealership associates have earned designation as award winners in the 2016 President’s Pride Program. We applaud these extraordinary automotive professionals on their achievement in their sales achievements and excellence in customer service. Toyota announced the Toyota Environmental Challenge 2050 in October 2015, setting challenges that it will undertake to help reduce the negative impacts of automobiles on the global environment to as close to zero as possible, and to contribute to the creation of a sustainable society. 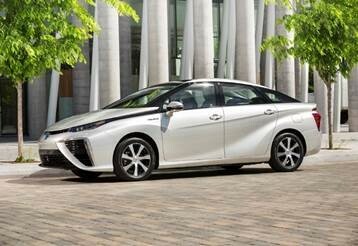 Toyota has positioned hybrid technologies as core environmental technologies for the twenty-first century. 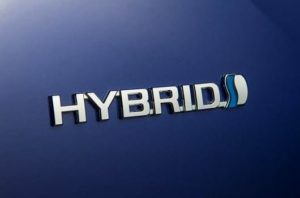 Hybrid encompasses all of the component technologies necessary for the development of environmentally friendly vehicles, from battery electric to fuel cell hydrogen vehicles, which facilitate the use of different fuel combinations, Toyota is committed to further expanding its lineup of environmentally friendly vehicles. 2Toyota’s company-wide global program to structurally transform automobile design. The goal of TNGA is to dramatically improve the basic performance and marketability of Toyota vehicles by reforming and considering the overall optimization of developing new powertrain components and vehicle platforms. Aviva Canada, a leading insurance company in Canada, announced today that it will be rewarding drivers for adopting vehicles with advanced safety features such as the Toyota Safety Sense (TSS) packages. Toyota customers who choose vehicles with TSS and LSS+ packages can benefit from Aviva Canada’s 15% auto insurance discount. November 28, 2016 (Toronto, ON) – It’s another insurance industry first as Aviva Canada today announces a 15% auto insurance discount for drivers of vehicles that have Automatic Emergency Braking (AEB). The discount will be available to all Aviva-insured drivers and will be applied to their policy automatically upon purchase or renewal. AEB is a road vehicle safety system that uses sensors to detect possible front-end collisions. The system automatically applies the brakes to prevent, or lessen the damage of, such impacts. In March of 2016, the U.S. Department of Transportation’s National Highway Traffic Safety Administration (NHTSA) and the Insurance Institute for Highway Safety announced a historic commitment of 20 automakers, representing more than 99% of the U.S. auto market, to make automatic emergency braking a standard feature on virtually all new cars no later than NHTSA’s 2022 reporting year, which begins September 1, 2022. Major manufacturers like Toyota are stepping up to the plate even sooner. In October, the company became the first non-luxury brand to start making these systems standard equipment on most of their models. Toyota’s complete package of enhanced safety features, called “Toyota Safety Sense”, includes several active safety technologies designed to enhance driver capabilities and control in a variety of situations. Specifically, these technologies help mitigate collisions, help drivers stay in their lanes, and help improve nighttime safety. The AEB discount will not apply to coverage for damages incurred while not driving such as theft, vandalism – and in general, the possibility of damages not reduced by an emergency braking system. For consumers or Aviva Canada customers interested in learning more about the AEB discount and when it will be available to them, please visit Aviva Canada or contact your insurance broker. For more information visit avivacanada.com, our blog or our Twitter, Facebook and LinkedIn pages. Every 2017 Toyota Sequoia makes a statement with a bold first impression. Long and wide, with a sleek-bodied platform, the Sequoia expresses the bulk and muscle that makes it stand apart in the full-size SUV category. Yet even the smallest details are thoughtfully designed – from the prominent headlamps and fog lamps to the large, easy-to-use door handles and oversized, power adjustable and heated side-view mirrors. Large aluminum alloy wheels and massive tires provide a confident stance and firm footing, even as they improve ride comfort and vehicle dynamics. Inside, the Sequoia is roomy and comfortable, with space for seven or eight adults (depending on model) and an impressive amount of cargo. Even small things have a home, thanks to thoughtfully-designed storage spaces, while comfort is assured with three-zone automatic climate control as standard. Sequoia is a force of nature, with full-size performance from a 5.7L V8 that’s the envy of the engine block world. Boasting a wealth of technological advancements, it generates a massive 381 peak horsepower and up to 401 lb-ft of torque. This power is harnessed through a smooth six-speed sequential shift mode automatic with overdrive and lockup torque converter. Handling technologies such as one-touch, on-demand four-wheel-drive, active traction control and trailer sway control make Sequoia surprisingly easy to drive, and every model comes ready to haul – with at least a 3,175 kg (7,000 lb) towing capacity and factory-installed towing package. This includes a heavy-duty hitch receiver, 4+7 pin connectors, trailer brake control pre-wire, supplemental transmission cooler and a transmission fluid temperature gauge. As a Toyota, Sequoia also stands for peace of mind, with a well-integrated combination of active and passive safety systems. These include the Toyota Star Safety System (Antilock Brake System, Brake Assist, Electronic Brake Force Distribution, Vehicle Stability Control, Traction Control, Smart Stop Technology), plus eight airbags, a direct tire pressure monitoring system, the automatic headlamp system, headlamp washers, and more. 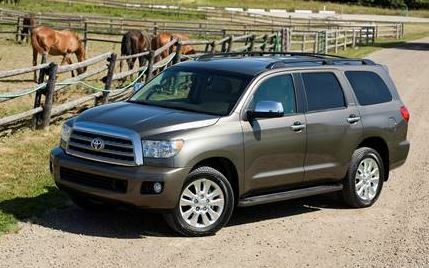 The 2017 Toyota Sequoia SR5 (starting MSRP $56,525) seats eight and is impressively equipped. Standard features of note include leather seating and leather-wrapped steering wheel, an eight-speaker 6.1″ Display Audio system with integrated XM Satellite Radio and steering wheel-mounted controls, Bluetooth connectivity, an auto-dimming rear view mirror with integrated compass, heated and power adjustable front seats, versatile 40/20/40 split-folding second row seats and power folding 60/40 split third-row seats, an onboard trip computer, power tailgate window, map lamps, Keyless Entry, anti-theft system, 18″ wheels, and more. The 2017 Toyota Sequoia Limited (starting MSRP $63,130) also seats eight and adds many premium features, including steering wheel-mounted HVAC controls, a power rear hatch with jam protection, a navigation system, the Blind Spot Monitor safety system, 12 speakers and more. The 2017 Toyota Sequoia Platinum (starting MSRP $71,395) seats seven – replacing the three-person second row bench seat with two heated captains’ seats. This model is extensively equipped with premium features, including heated and ventilated front seats with perforated leather surfaces, front and rear adaptive variable suspension systems, load-leveling rear air suspension, 20″ alloy wheels, dynamic laser cruise control, a rear seat DVD entertainment system with 9″ monitor and more. 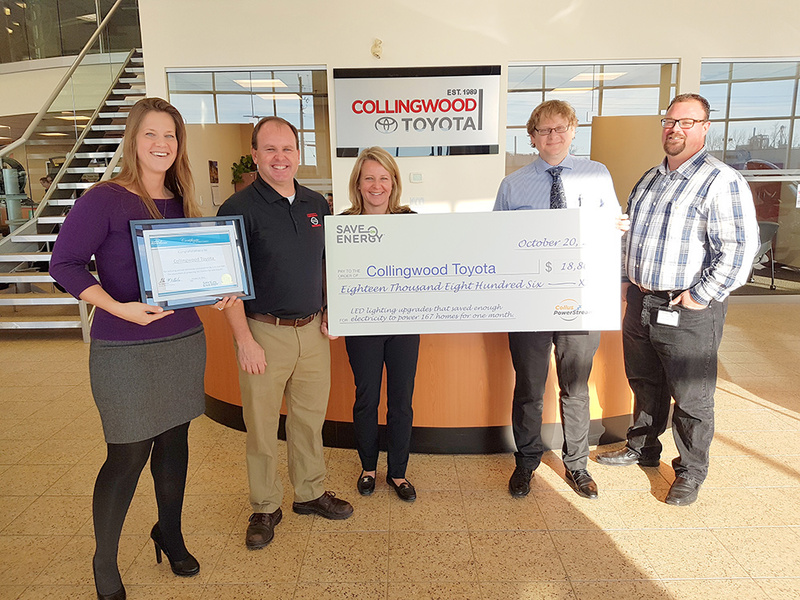 COLLINGWOOD, ON – For their outstanding participation in the Save On Energy RETROFIT program, Collus PowerStream has recognized Collingwood Toyota as an Energy Conservation Champion. Today the utility presented Dean Lockhart, Owner/General Manager of Collingwood Toyota, with an incentive cheque in the amount of $18,806 for an energy-efficient lighting upgrade that was completed through the Save On Energy RETROFIT program. The dealership’s old inefficient outdoor lighting was replaced with LED fixtures resulting in energy savings of over 125,000 kWh annually which is equivalent to removing 167 homes off the grid for one month. Also in attendance at for the presentation were Lisa Shaw, Administrative Assistant, Hydro Services from Collus PowerStream and Mike Attard, Conservation Technical Advisor from PowerStream. The Save On Energy RETROFIT Program is funded by the IndependentElectricity System Operator (IESO) and offered by Collus PowerStream as part of suite of energy conservation programs. The Save On Energy programs help Ontarians conserve electricity and help them manage their electricity bills as part of Ontario’s long-term goal to save energy, reduce its financial and environmental cost and support local employment. For more information on the full range of Save On Energy programs available for residences and businesses in Collingwood, Stayner, Creemore and Thornbury, visit: www.CollusPowerStream.ca or follow us on Twitter @CollusPower. 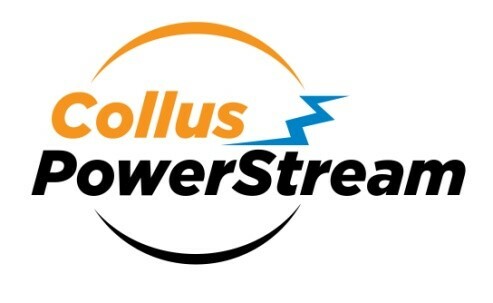 Collus PowerStream is a jointly-owned utility by the Town of Collingwood and PowerStream that provides reliable electricity to customers in Collingwood, Stayner, Creemore and Thornbury. Together, we will grow, maximize opportunities and exceed customer and shareholder expectations. (TORONTO, ON – November 21, 2016) Those who know trucks covet a Tacoma. 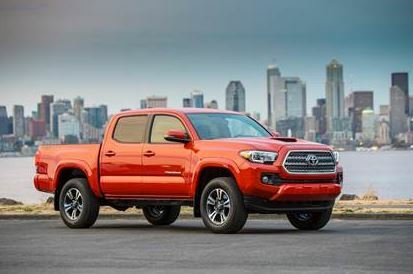 And no wonder: with 4×2 and 4×4 models – plus a choice of engine and transmission combinations, cab and bed sizes, and trim levels – there’s a Tacoma for everyone. And regardless of the options, every Tacoma is standard equipped with legendary handling and performance, incredible versatility, impressive comfort and safety, and rugged styling. 2017 Tacoma 4×2 Access Cab (4-cyl, 6-auto, 6-foot bed) (starting MSRP $29,560). 2017 Tacoma 4×4 Access Cab SR+ (4-cyl, 5-manual, 6-foot bed) (starting MSRP $30,486). 2017 Tacoma 4×4 Access Cab SR5 (4-cyl, 6-auto, 6-foot bed) (starting MSRP $35,510). 2017 Tacoma 4×4 Access Cab V6 TRD OFF-ROAD (V6, 6-manual, 6-foot bed) (starting MSRP $38,070). 2017 Tacoma 4×4 Access Cab V6 SR5 (V6, 6-auto, 6-foot bed) (starting MSRP $37,165) – also offered with an available TRD OFF-ROAD package. 2017 Tacoma 4×4 Double Cab V6 TRD SPORT (V6, 6-manual, 5-foot bed) (starting MSRP $36,342). 2017 Tacoma 4×4 Double Cab V6 SR5 (V6, 6-auto, 6-foot bed) (starting MSRP $38,405) – also offered with available TRD SPORT or TRD SPORT UPGRADE packages. 2017 Tacoma 4×4 Double Cab V6 LIMITED (V6, 6-auto, 6-foot bed) (starting MSRP $45,635). Also new for 2017, all SR5 models are upgraded with heated front sport seats as standard, while Double Cab TRD OFF-ROAD, TRD SPORT and LIMITED models are enhanced with a power rear sliding window as standard. Two engine choices are offered: The 2.7L four-cylinder model produces up to 159 horsepower and 180 lb-ft of torque, while the 3.5L Atkinson Cycle V6 generates 278 peak horsepower and up to 265 lb-ft of torque. 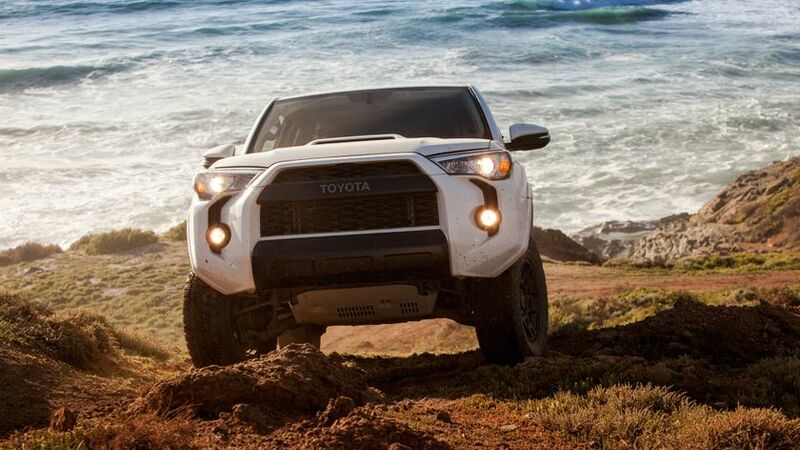 4×4 models feature on-demand four-wheel-drive with an auto limited slip rear differential, two-speed transfer case, and automatic disconnecting differential, while TRD OFF-ROAD models add the ability to manually lock the rear differential when needed. Enhanced handling and control technologies available on select models include Multi-Terrain Select, which tailors traction control to the terrain being negotiated, and Crawl Control to help drivers tackle the most extreme off-road environments. Performance starts with stability, so all 2017 Tacoma models feature an independent front suspension of double-wishbone design with stabilizer bars and multi-leaf spring rear suspension. TRD SPORT models feature sport-tuned suspensions, while TRD OFF-ROAD models are equipped with Bilstein shock absorbers. Towing capability ranges from 1,587 kg to an impressive 2,948 kg, depending on model, while a factory-installed weight distribution hitch and 7-pin wiring harness on select models means Tacoma is ready to tow from day one. The 2017 Toyota Tacoma boasts a bold but aerodynamic style, featuring aluminum alloy wheels, halogen headlamps, power-adjustable mirrors, rear step bumper, a double-wall composite cargo bed, removable locking tailgate, and fog lamps. Inside, Tacoma offers a comfortable, roomy cabin featuring soft surfaces and ergonomic angles. And it’s loaded with an impressive list of standard features including Display Audio with Bluetooth capability, power windows and door locks, air conditioning, a multi-information display, 12-volt accessory outlet, cruise control, map lamps, and more. There’s even a GoPro mount fitted as standard in every model – an industry first. Most models include a 120-volt, 400-watt power out let in the cargo bed, turning Tacoma into a portable generator. Other available features (depending on model) include wireless charging for personal electronics, a power moon roof, leather seating, leather-wrapped steering wheel and shift knob, automatic climate control, navigation systems, the Smart Key System with Push Button Start, and more. Safety is always standard on a Toyota, so every 2017 Tacoma is equipped with active and passive safety features, including full airbag systems (number depending on cab size), a back-up camera, the Toyota Star Safety System, and more. All 4×4 models feature active front headrests with whiplash protection, while additional safety technologies available on some models include the Blind Spot Monitoring with Rear Cross Traffic Alert and more. 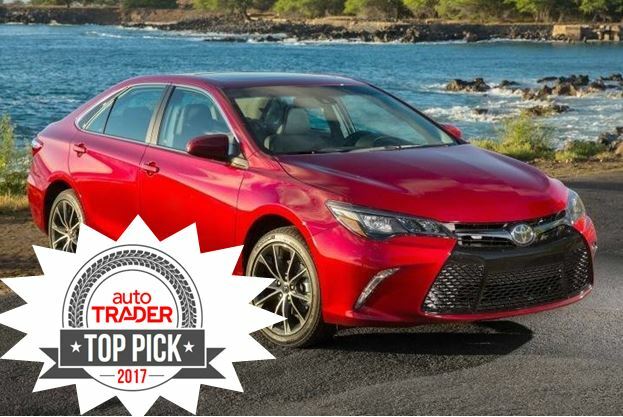 The Toyota Camry was chosen as the Top Family Car Pick in autoTRADER.ca’s inaugural 2017 Overall Top Pick award. Pavement? Who needs pavement? The Toyota 4Runner TRD Pro screams, “Bring on the trail!” Offered for the first time in Canada, the 4Runner TRD Pro headlines the 4Runner line-up for the 2017 model year, which also includes a new TRD OFF-ROAD package. The 2017 4Runner is already an impressive machine – and the engineers at Toyota Racing Development (TRD) have added a long list of ground-pounding features to the TRD Pro model. The 2017 Toyota 4Runner TRD Pro features several unique TRD Pro performance upgrades, including TRD-tuned front springs, TRD Bilstein high-performance shocks with rear remote reservoirs, and 31.5″ Nitto Terra Grappler all-terrain tires on 17″ matte black aluminum wheels with TRD centre caps. Unique TRD Pro style enhancements include a heritage Toyota grille, TRD shift knob, TRO Pro-badged floor mats, black TRD Pro badging on the C-pillar and tailgate, TRD-stamped aluminum front skid plate, black accents on the front and rear bumpers, and more. These are in addition to impressive off-roading performance and style features also found on the 2017 Toyota 4Runner TRD OFF-ROAD edition, including 4-wheel crawl control, lever-type 4WD selector, four-setting multi-terrain select system (to tailor wheel slip to specific off-road conditions), Toyota’s Kinetic Dynamic Suspension System, multi-terrain ABS, high-visibility Optitron instrumentation, black seats with red stitching, a hood scoop, TRD logo on the front headrests, and black end caps for the roof rails. Like all 2017 Toyota 4Runner models, the 4Runner TRD Pro is built around a powerful and proven 4.0L V6 engine that generates up to 270 horsepower and up to 278 lb-ft of torque. This is mated to a five-speed automatic super electronically controlled transmission with lock-up torque converter and transmission cooler. 4Runner has a 2,268 kg (5,000 lb) towing rating, and is standard equipped with a hitch plus 4-pin and 7-pin trailer wiring harnesses. On-demand four-wheel-drive (full-time on the 4Runner Limited edition), a suspension designed for drivability, robustness and ride comfort, and advanced control technologies such as hill start assist control and downhill assist control make 4Runner the go-anywhere mid-size SUV that’s also surprisingly well-mannered on the road, while front and rear ventilated disc brakes provide plenty of stopping power. The 2017 4Runner will be available in five configurations: the 2017 Toyota 4Runner SR5, the 2017 Toyota 4Runner TRD Pro and 2017 Toyota 4Runner OFF-ROAD, the 2017 Toyota 4Runner Limited 5-Passenger and 2017 Toyota 4Runner Limited 7-Passenger. The 2017 Toyota 4Runner – including the first 4Runner TRD Pro available in Canada – goes on sale in the New Year at Toyota Dealers across Canada. MONTREAL, QC – June 16, 2016 This month, as part of continued efforts to expand the conversation on the diversity of electric powertrains, Toyota Canada is bringing three iterations of electric vehicles – the future of sustainable mobility – together at EVS29, the largest international electric vehicle conference in the world. Leading the pack is the 2016 Toyota Mirai Hydrogen Fuel-Cell Electric Vehicle (FCEV). Alongside the Mirai will be the new 2017 Prius Prime Plug-In, Toyota’s most technologically advanced hybrid vehicle and the 100% electric personal mobility vehicle, the i-Road, all shining a light on viable, “real-world ready” alternatives to conventional, internal combustion vehicles. Beyond its remarkable power supply, the Mirai is very familiar; a stylish, feature-rich, fun-to-drive four-door sedan. The aerodynamic body is highlighted by LED headlamps and daytime running lights, touch sensor front door handles and trunk lid, and 17″ alloy wheels. Noise-reducing glass contributes to a quiet, comfortable cabin, featuring eight-way power adjustable front seats, heated seats for everyone, electronic push button start with Smart Key, a heated, power adjustable steering wheel with built-in multifunction controls, a premium audio system with navigation, and more. And as a Toyota, the Mirai also delivers the peace of mind of no-compromise safety, including eight airbags, a back-up camera, blind spot monitor with rear cross traffic alert, and more*. Consumer Reports recently published an article called “10 Best Cars to Get to 200,000 Miles and Beyond” by Jon Linkov. We are very proud that 5 out of the 10 best vehicles listed are Toyotas! 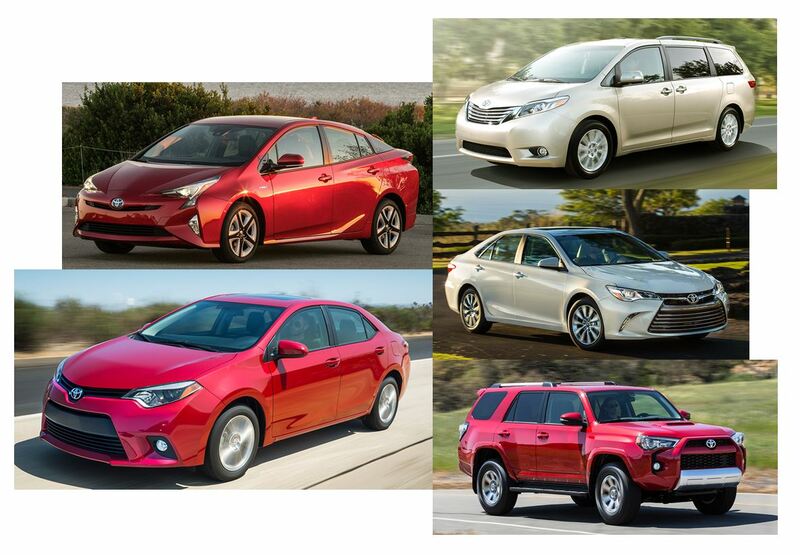 The Camry, Prius, Sienna, Corolla and 4Runner all made the cut. Click here to read the whole article. You can also find tons of information on the Consumer Reports site www.consumerreports.org including complete road tests and much more! Also kudos to Honda for having many models make the list. We know that they are our biggest competition when it comes to longevity and other factors and appreciate the challenge. It is a fundamental Toyota way to constantly be evolving and there are many factors that influence the drive to be the best! TORONTO, ON, March 17, 2016 -With a combination of spirited Scion styling and Toyota Q-D-R (Quality-Durability-Reliability), the former Scion FR-S will debut as the reinvigorated 2017 Toyota 86 at the New York International Auto Show, showcasing interior and exterior changes, as well as suspension and powertrain upgrades. The new Toyota 86 will go on sale at all Toyota dealerships this fall. 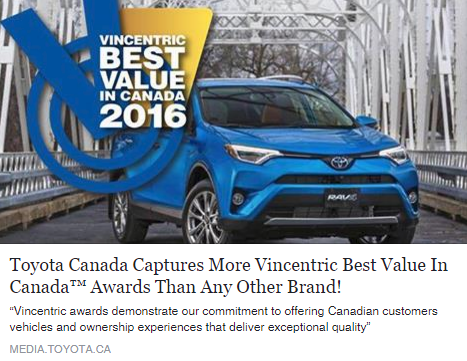 (MONTREAL, QC – JANUARY 14, 2016) Toyota Canada today received the 2016 Best New Innovation Technology award from the Automobile Journalists Association of Canada (AJAC) for the advanced technologies found on the Atkinson Cycle D-4S V6 engine in the all-new, 2016 Toyota Tacoma pick-up truck. AJAC selected the Tacoma engine for its introduction of the D-4S direct and port injection system to an Atkinson Cycle V6 to maximize combustion efficiency, thereby boosting fuel efficiency and helping to reduce emissions. The 3.5L V6 in the 2016 Toyota Tacoma is Toyota’s first V6 engine offered in Canada to combine D-4S injection with the Atkinson Cycle. It produces a peak 278 HP – a 14 percent boost compared to the V6 in the previous generation Tacoma – and up to 265 lb-ft of torque. At the same time, it reduces fuel consumption by 15 percent compared to the previous generation V6, and delivers impressive towing capability without compromise. In this new engine, the D-4S direct and port injection system combines two injection systems, which are managed by an engine control module (ECM). The ECM determines the engine’s operating condition – for example, at cold start-up, warm-up, idle, partial throttle, or full throttle – and then uses one or both injection systems as appropriate to maximize power and fuel efficiency. The 2016 Toyota Tacoma is now on sale at Toyota Dealers across Canada.